Danielle Doward in Music on 22 January, 2016. Tim Burgess walked on stage, his hair a white beacon; an ode to the punk Madchester days gone. What is most striking about The Charlatans is that the moment they make their entrance, it’s clear. They’re here for one reason. They want to be. For most of Durham, the name ‘The Charlatans’ may not ring any bells. An old indie band from an era forgotten. So let me inform you. Oasis. The Stone Roses. New Order. The Happy Mondays. The Charlatans. The Hacienda era. A peak period born and raised in Manchester, their music still worshipped and respected today. Floating round the Northern Quarter there is remnants of this every way you look. In the Vinyl shops, in windows of Affleks Palace, in the infamous Koffee Pot café. A sound of indie meets punk, a rebellious attitude that can be celebrated by a (mixture) of people. In interviews, Burgess has spoken about jumping on the train to the infamous city centre, with Doc Martens and grungy clothes. I can imagine him now, picking his way through Market Street, hanging in the café in Affleks dreaming about days to come. A young Burgess, life ahead of him and music to make. Skip forward a generation and here they still are. It’s questionable if this could be their best album yet. After the death of band member and friend, Jon Brookes, the drummer left a lasting mark on the attitudes of the band. Now on a clean drug free streak, Burgess and the band prefer meditation as their latest pastime. Trading the rock and roll lifestyle for more contemporary modern living, their new album ‘Modern Nature’ feels fresh and full of life. Battles of the past seem to have been tackled and moving forward, their work reflects this new outlook. Every detail from the passion and dedication written into the album, the performance on stage, the interaction of band and fans. It endorses life and living in the moment. Some bands at this stage in their career throw a new album out there in hopes of boosting sales. Maybe blowing too much money on luxuries and a lifestyle that does not have long term sustainability. This is in no shape or form the vibes from the band before me. 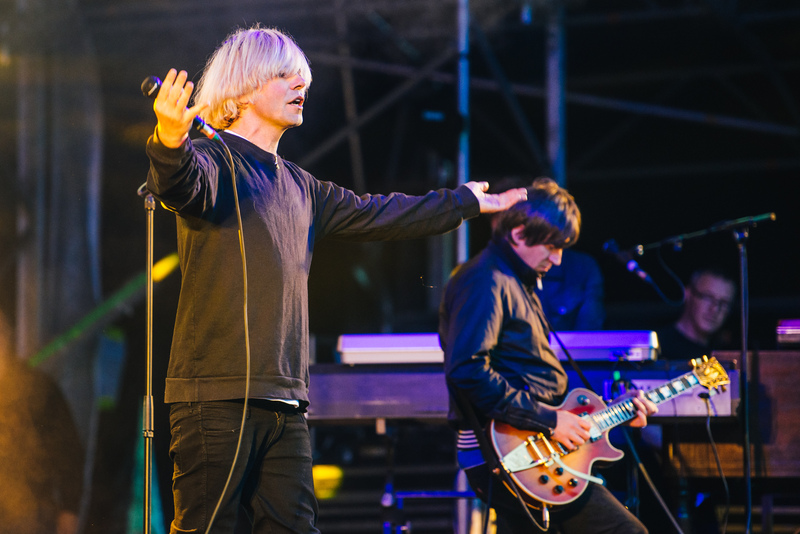 The Charlatans are back in business for the love of being on stage. The entire performance was incredulous. No one in the audience seemed disappointed, and even a generation after their peak era, not one person can deny ‘they still got it’. The new album flowed immaculately with older more known songs. My personal favourite from the new album is ‘Let the Good Times Be Never Ending’, which I am convinced is an ode to former band member, Brookes, as well as a motto to continuing living the dream. But the winner will always be ‘One to Another’. Some people will recognise it as the theme song to E4’s popular hit TV show ‘My Mad Fat Diary’, which finished last year. The show documented music from some of Manchester’s finest bands, including Oasis as well as The Charlatans. The performance was, unquestionably, the best of the evening. Crowd pleasers like ‘North Country Boy’ ‘Just When You’re Thinkin’ Things Over’ and ‘The Only One I Know’ produced cheers and excitement from the crowd. But ‘One to Another’ went a step further. The venue was practically bouncing. A past life of deserted warehouses and factories, 90’s rave, drug fuelled memories surface in the minds around me. It felt youthful. It reflected exactly the mentality gushing from the stage. The Charlatans are living on. Our day is coming, and it’s getting sweeter every year.